It’s true, the majority of successful businesses and corporations were at one time, a startup. However, in 2016, it’s a sobering fact that while some startups will succeed, many will fail, and it’s the failures that teach us the most valuable business lessons. According to a recent study by the Statistic Brain Research Institute, 55 percent of startups will fail in their first five years. As scaling become a priority for your startup, there will be a series of tough lessons that will help you shape the future for your company. As someone who has experience scaling startups into emerging growth companies, the lessons I’ve learned are actionable and relevant for startups at all stages. The four tips below are taken from my own experience and they have helped me scale multiple businesses for long-term success. As your startup scales, there’ll be a tendency for the product management team and engineers to develop extensive product roadmaps that could last your startup through the next seven years. My advice is to not immediately reinvest in new products and to focus on what your customers’ requests and needs are. You may learn your customers prefer additional technical and onboarding support over a new product. This customer feedback can help shift the focus toward strengthening the services of your offering or product which will allow you to establish yourself as a leader in what you do. The product buyer fit means understanding the buyer persona. Identify what is that specific buyer’s pain point and which solution will help them solve that problem. It’s also important that this buyer persona allows you to generate revenue for the service you are providing. My advice is to invest time in understanding your buyer, and educate them while identifying a price point they’d be willing to pay and use that service from day one. Can you look at your startup’s business model and say we’ve identified our buyer? Ask yourself these three questions before identifying your product market fit. How do you serve or solve a problem for your buyer? Do you have an easy way to onboard your buyer? Are you directly targeting the person who is buying your product or are you relying on someone to tell your buyer about your product? As your startup scales at a rapid pace, don’t lose focus on who gets to decide who comes through the door. With scaling, recruitment will become a priority, so I advise you take a step back and really analyze who gets to decide who joins your team. As you look at your interview process, ask yourself how many people do we have interviewing candidates and divide that by two, if not more. It is crucial to hire employees that raise the bar, not just meet it. I also challenge you to ask yourself, are you hiring the best candidates that found you or are you proactively going out in the market and finding what you need? 90 percent of the time, startups or scaling businesses hire the best candidates who found them. Be proactive and reach out to prospects that have the skills you need to help build a strong business. Finally, and probably the most critical factor of growing and scaling your startup is being mindful of your macro economic environments and influencers. These days there’s a lot of investment money and the trend has been focused on the growth side of the equation. But if you look at the market trends and start to anticipate the correction that’s coming, you’ll see that we’re heading back in the direction of profitability and fiscal responsibility. So watch your churn. No one can predict the future as we live in a boom and bust economy. It’s important to be mindful of how much you are spending to achieve company growth. If necessary, pull back on perks and travel. Startup CEOs and entrepreneurs will have to grapple with a number of challenges as their business start to gain momentum. 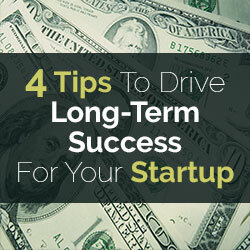 The tips listed above will provide you with key guidelines that will set your business up for long-term success. Sameer has over 20 years of experience in successfully bringing high growth, disruptive cloud and enterprise software solutions to market. Prior to joining SendGrid, he served as Group Vice President and General Manager of the Cloud Platforms group at Citrix. 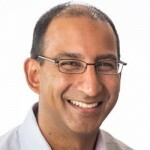 Sameer joined the company in 2010, when Citrix acquired VMLogix, where he served as CEO.